I love beets. Sometimes I grate them raw into salads, but my favorite way to prepare them is to oven-roast them and toss them into a salad with some nuts and cheese or tofu. 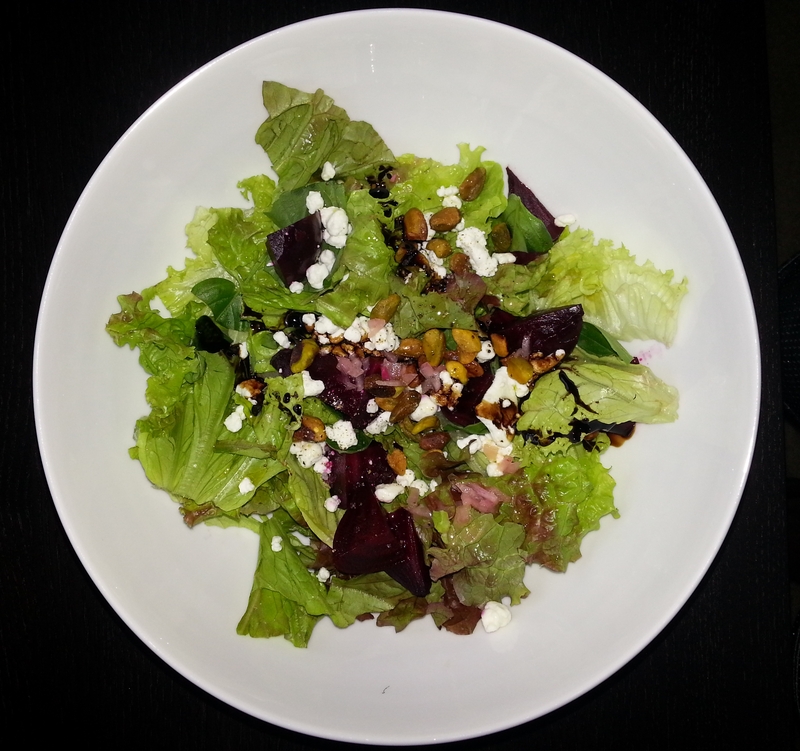 Combine salad ingredients and toss with dresssing. *To roast beets, cut off the top of each beet and place on a large piece of foil. Top beets with 1 TSP of olive oil, salt and pepper and wrap tightly with the foil. Place foil-wrapped beets on baking sheet and bake at 425 for ~45 minutes or until tender and easy to pierce with a knife. Remove from oven and allow to cool still wrapped in foil (this will assist with steaming the skin and making it easier to remove).